Olhem o que a minha mãe me fez: um abafador de bule em tricot! O molde é deste livro e as lãs são Coats. 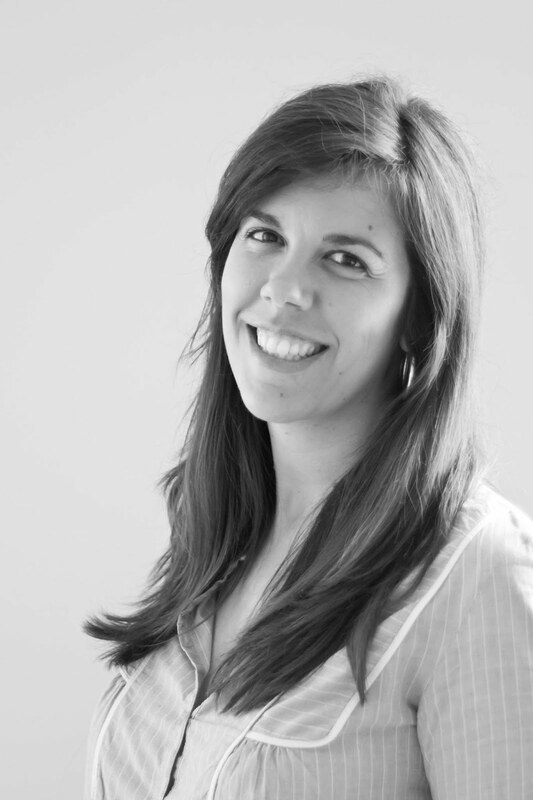 Não é o máximo? 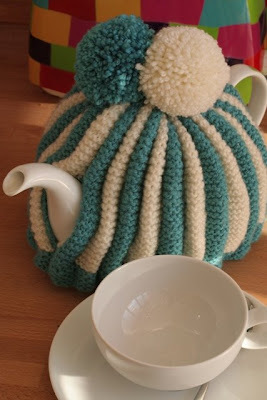 Just look what my mum made for me: a knitted tea cosy! The pattern came from this book and the yarns are Coats. Isn't it lovely? No wonder the daughter is so talanted! 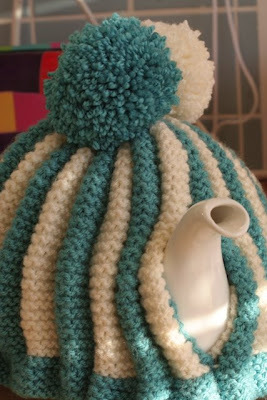 Now that is the cutest little tea cozy I have ever seen! Your mom is such a sweetie! Very lovely, great colour combination and the pom pom is the perfect finishing touch. I don't like it. I prefer a more thermal approach. 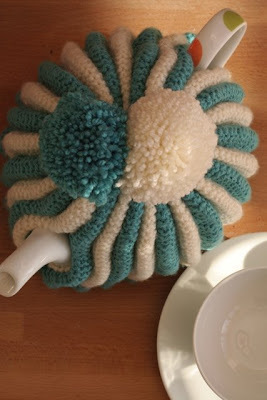 A tea cosy (not cozy) isn't my style. Este livro tem uns "abafadores" lindos adoro os que parecem uns carneirinhos.